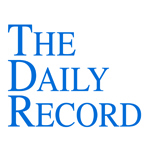 This week's Legal Currents column, which is published in The Daily Record, is entitled "To Err Is Homicide" The article is set forth in full below, and a pdf of the article can be found here. The New York Court of Appeals recently granted leave to appeal in the matter of People v. Cabrera, 40 AD3d 1139, 835 NYS2d 747 (3d Dept. 2007). In this case, a 17-year-old boy who possessed a junior driver’s license was sentenced to one and one-third to four years in state prison for doing what inexperienced teenage drivers have done since the advent of motor vehicles — exercising poor judgment while driving too fast. The facts in this case are decidedly tragic. On a clear, dry afternoon in June 2004, the defendant, Brett Cabrera was driving an SUV in Sullivan County on Sackett Lake Road with four teenage passengers when he lost control. It is estimated he was traveling at about 70 miles per hour in a 55-mile-perhour zone and failed to slow down prior to negotiating a curve for which the recommended speed limit was 40 miles per hour. As Cabrera attempted to navigate the curve, his vehicle skidded off the roadway and into a telephone pole. Three of his passengers were killed and the other suffered a fractured spine. None were wearing seatbelts. Cabrera was not under the influence of alcohol or drugs at the time of the accident. Based on the facts, it would be difficult to argue Cabrera’s negligence did not cause the heartbreaking deaths of his young friends. He made a terrible miscalculation, which yielded disastrous results. Without a doubt, his civil liability would not be difficult to prove in court. Civil liability does not necessarily amount to criminal liability, however. The vast majority of errors in judgment simply do not rise to the level of culpable conduct required for a criminal conviction. At issue in Cabrera is whether Cabrera’s conduct was criminal. The Sullivan County District Attorney’s Office, a Sullivan County jury and the Appellate Division, Third Department each concluded that it was. He was convicted of three counts of criminally negligent homicide, assault in the third degree, reckless driving and a number of traffic infractions. In upholding the jury’s verdict, the Third Department acknowledged the Court of Appeal’s determination that excessive speed alone cannot form the basis for a conviction based on a showing of recklessness or culpable negligence. The court determined, nevertheless, that the verdict was further supported by the convictions for the traffic violations, which included failure to keep right, driving left of a yellow line and violations of his junior license restrictions (namely that he failed to ensure no more than two passengers were under the age of 21 and that all passengers were wearing seat belts). I only hope the Court of Appeals finds the dissent’s rationale to be convincing. Otherwise, I fear that in the future any number of graduating high school classes will include at least one convicted felon, guilty of throwing caution to the wind and naively engaging in the recklessness and daring of youth so familiar to those of us who once were young. Colao v Mills, 2007 NY Slip Op 03230, is a Third Department case wherein the plaintiff commenced a 1983 action alleging that the defendant sheriffs unlawfully searched and seized his home and property in violation of the 4th Amendment. The defendants responded to a 911 call from the plaintiff's girlfriend on the date in question. She indicated that the plaintiff had weapons and alcohol in his residence and that he was chasing her and wanted to kill her. She requested assistance in entering the plaintiff's home and retrieving her belongings. When the deputies arrived, she was no longer there. There was clearly evidence of a struggle, and the plaintiff alleged that his girlfriend had run away up the driveway. Up to 5 officers remained on his property for several hours while they searched for his girlfriend and used his telephone a number of times. There was some dispute as to whether he consented to allow them to search his home. His girlfriend was located alive the next day. He subsequently brought this action. Government officials performing discretionary functions are entitled to qualified immunity, thereby shielding them from civil liability, as long as their actions did not violate the plaintiff's clearly established legal rights; it must be objectively reasonable for the defendants to have believed that their conduct as related to the plaintiff was lawful under the circumstances...The two parts of this inquiry are whether plaintiff suffered a constitutional violation at the hands of defendants and, if so, whether the constitutional right was clearly established at the time so that any reasonable officer would clearly recognize that his or her conduct was unlawful in that situation...Immunity should ordinarily be determined by the court as a matter of law early in the case. (Internal citations omitted). The Court then stated that it was unable to determine as a matter of law whether the defendants exceeded the scope of their authority by remaining on the property for several hours, but concluded that qualified immunity protected them nevertheless since "even assuming that defendants exceeded the scope of the emergency and thus violated plaintiff's constitutional rights by remaining on his property and answering his phone, a rational jury could not find that defendants' judgment in this regard "was so flawed that no reasonable officer would have made a similar choice..."
Under the circumstances of this case, I'm inclined to agree with the Court. Given the evidence of a struggle, had the officers simply taken the plaintiff's word as to what had happened without investigating further, they'd have been in awfully deep the next day had she turned up severely injured, or even dead. In my opinion, the deputies' actions were reasonable under the circumstances. Was the Sixth Amendment Violated Where Court Failed to Relieve Assigned Counsel and Substitute Pro Bono Attorney? In People v Mack, 2007 NY Slip Op 02824, the defendant was initially assigned counsel for pending felony murder in the second degree and robbery in the first degree. On May 23, 2003, the defendant entered a guilty plea while still represented by the Public Defender's Office. Compentency exams were then ordered and a competency hearing was scheduled for December 11, 2003. However, on October 10, 2003, before the competency exam had been ordered, the defendant executed a Consent to Change Attorney, requesting that his assigned appellate counsel, who was taking on the case on pro bono, be substituted as counsel of record. A Notice of Appearance was filed with the trial court by the defendant's chosen attorney that same day. Nevertheless, the trial court judge did not allow the defendant to change counsel until May 6, 2004, nearly 6 months later, after he'd been declared competent to proceed. In the interim, his chosen attorney was present at subsequent proceedings and provided assistance to his assigned counsel. Shortly after she was substituted, his new counsel moved to vacate his plea, which the trial court denied prior to imposing sentence. (T)he fact that his competency had been called into question did not provide sufficient, cognizable grounds to deny (or delay) his constitutional right to promptly substitute retained counsel of his choice. (W)e...restore defendant to the postplea status he occupied in October 2003 prior to the competency hearing or motions to, among other things, vacate the plea. I was reviewing recent decisions from the Appellate Divisions and two short criminal decisions caught my eye. (D)efendant argues that the strip search was conducted in violation of his constitutional rights. In the absence of a reasonable or founded suspicion that a person in custody is concealing weapons or contraband, a person in custody on a misdemeanor or other minor offense has a constitutional right to be free from warrantless strip searches (see People v Kelley, 306 AD2d 699, 700 , lv denied 1 NY3d 598 ; People v Jennings, 297 AD2d 644 ). At the Mapp hearing, one of the Amsterdam police officers testified regarding a policy of conducting strip searches of every arrestee remanded to the local correctional facility. Notwithstanding the unconstitutionality of such a policy (see Weber v Dell, 804 F2d 796, 802 , cert denied sub nom. County of Monroe v Weber, 43 US 1020 ), here, not only were the Amsterdam police advised by the Schenectady police of their suspicion that defendant was secreting something in his pants, the Amsterdam police observed defendant, while in their patrol car, attempting to reach in his pants, causing the officer to conclude that the information from the Schenectady police was accurate and that defendant was attempting to remove something and secrete it in the police car. We conclude that the Amsterdam police properly formed a reasonable suspicion that defendant had contraband on his person and that the strip search was therefore reasonable. I think it's extremely important have this information easily and readily accessible via internet search, since I believe many criminal defense attorneys are unaware of to the circumstances under which strip searches can be legally conducted. And, in my experience, many jails routinely conduct strip searches on all of those taken into custody regardless of the charges pending against an inmate. Hopefully, this case will be of assistance to other lawyers who either read my blog on a regular basis or who stumble upon this post as a result of an internet search. (The officer) had stopped at a stop sign on Mader Street and then, although construction blocked his view of Rosa Road, pulled forward into the intersection to make the turn without activating his lights or siren. When he saw plaintiffs' car approaching him in the northbound lane, Glasser stopped his vehicle in that lane, hoping that the car would either stop or proceed around him. Road conditions were wet due to a drizzling rain, however, and plaintiff Roy Muniz, the driver of the other vehicle, was unable to stop before colliding with the front driver's side of Glasser's cruiser. At issue was whether the officer's conduct was reckless, since VTL s. 1104(a) exempts the drivers of authorized emergency vehicles responding to an emergency from liability for certain traffic violations unless the driver's conduct was reckless. In order to demonstrate reckless disregard for the safety of others, a plaintiff must show that the defendant "'has intentionally done an act of an unreasonable character in disregard of a known or obvious risk that was so great as to make it highly probable that harm would follow' and has done so with conscious indifference to the outcome"... Upon our review of the record, we agree with Supreme Court that questions of fact exist regarding whether Glasser's conduct was reckless. Here, Glasser testified at his examination before trial that although he was responding to a routine, nonemergency call, he began his turn onto Rosa Road despite his limited visibility. Moreover, the accident occurred at approximately 11:00 P.M. and road conditions were wet, but he did not activate his siren or emergency lights. Rather than completing his turn into the southbound lane of Rosa Road which was free from traffic he stopped in plaintiffs' lane of travel when their vehicle was only 20 to 30 yards away. Under these circumstances, questions of fact remain regarding whether Glasser consciously disregarded a grave risk that his actions would cause a collision and probable harm to plaintiffs (Internal ciatations omitted). I agree wholeheartedly with the Court's holding. It seems to me that more often than not, appellate and trial courts have a tendency to find creative ways to decide issues of fact rather than allowing the fact finder to do so. Accordingly, I was pleasantly surprised by this opinion. In People v Faulkner, 2007 NY Slip Op 00338, the voir dire was not fully transcribed--to the defendant's benefit. The Third Department noted that although verbatim transcription of jury selection may be waived, if a defendant is prejudiced by the lack of a full record, reversal is warranted. The Court stated that where a defendant alleges on appeal that a challenge for cause should have been granted, "courts must look to the full record of what the challenged juror said, not merely snippets of the voir dire." In this case, the trial judge denied the defendant's challenge of a juror for cause. The juror in question had informed the court that he'd previously sat on a jury that had convicted members of the family of a co-defendant (who was being tried separately) and that his prior jury service "might affect him." Mr. Faulkner was also a member of that family, although Mr. Faulkner had a different last name. However, because of the limited transcription of the jury selection, it was unclear whether the defendant was initially identified to the jury as a member of the same family as his co-defendant, although that fact was later elicited at trial by the prosecutor. When potential jurors themselves state that they doubt or question their ability to be fair in the case, the trial judge should either probe further to elicit an unequivocal assurance that the juror can be fair and impartial or excuse the juror for cause...Here, the record does not disclose whether further questions were asked to assure that the juror could sit impartially in order to support denial of defendant's challenge for cause. Under such circumstances, reversal is required... Contrary to the People's argument, the court's denial of defendant's challenge for cause constituted reversible error because after that denial defendant exercised a peremptory challenge to the juror at issue and he and his codefendant exhausted their combined peremptory challenges before jury selection was completed... (Internal citations omitted). This is an issue that I'd never really given much thought. My gut instinct is to have everything transcribed, but perhaps it might be good strategy to waive full transcription of voir dire. It seems like it's a roll of the dice though and that it could come back to bite you in some cases. Anyone have any thoughts on the issue? I'd love to hear them.